Portland is a beautiful North West city that has a variety of outdoor and city pursuits to keep visitors to the city entertained. Building a reputation as a really progressive and hip place to be, Portland is a place that caters to all type in terms of things to do in the city. The performing arts scene alone is worth checking out. The Oregon Ballet Theatre, the Portland Youth Philharmonic, Portland Center Stage, and Artists Repertory Theatre are but a few of the theatres in the area. 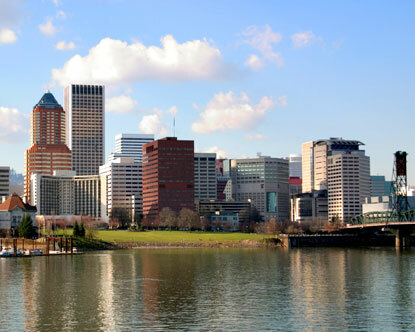 There are plenty of places to see when visiting Portland. Booking a trip to there is also very simple if you go online and look over some of your options. Travelers with a taste for coffee owe it to themselves to check out Stumptown Coffee Roasters as well as the many other micro-roasteries in the city. There are fantastic parks, galleries, and districts of the city to visit and enjoy. A few more things to do in Portland include. Washington Park is a great spot in the city that has such attractions as the Japanese Garden and the International Rose Test Garden as well as family friendly fare like the Oregon Zoo and the Portland’s Children’s Museum. Complete with vast green space Washington Park can easily take up a day with its many diversions, be sure while here to take some long walks along its flower adorned path ways. The park is open from 5 a.m. to 10 p.m. and there are often different events taking place. This plaza divides Portland’s shopping, business and cultural district and often is used as a meeting point for residents and visitors in the city. This area houses the Portland Visitors Center and is flanked by a number of shops and varied food carts. Attractions in the square include the “weather machine” which every day at noon predicts whether there will be rain that day and pioneer courthouse which is the oldest building in the Pacific Northwest. This square often has varied events taking place in it. In the 19th and 20th century this area was the heart and soul of Portland, however when the main harbour moved further down stream so did the downtown core. Presently old town now has some of the city’s best night life venues and trendiest restaurants. During the day people enjoy wandering around the streets looking at the red brick buildings with cast iron facades. The old town is also note worthy for its Asian influence, such as the Japanese American Historical Plaza, that was built by some of Portland’s first Asian and Japanese residences. The main attractions of the old town are the Portland Saturday Market as well as sections of the Tom Mccaul Water Front Park. Through the year a variety of events are put in the Old Town Historic District.